David Lloyd Owen is Envisager Limited’s founder and managing director. Envisager works for clients individually and with a network of companies and contacts he has worked with over the past twenty-seven years. Since 1995, Envisager has developed a unique series of global databases covering companies active in the water and wastewater sectors and the markets they serve. David was an equity analyst at Savory Milln and Banque Paribas and at Ecofin Limited (Founding Director) and Delphi International (Director, Research), two environmental investment boutiques. He has worked for corporate clients, institutional investors, multilateral agencies and government bodies. As a member of the advisory board of the Luxembourg Pictet Funds (LUX)-Water promoted by Pictet & Cie, which currently has assets of €4.4 billion, he contributed to the development of the Fund since its inception. He was a Member of Glas Cymru, the non-profit company set up to manage the assets and operations of Dwr Cymru Welsh Water for ten years. 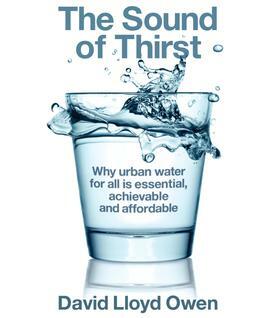 Publications include nine books on the water sector, along with papers, columns and conference presentations, including 'Smart Water Technologies and Techniques: Data Capture and Analysis for Sustainable Water Management' published by John Wiley in 2018, 'inDepth' published by Arup in 2015 and ‘The Sount of Thirst: Why urban water for all is essential, achievable abnd affordable’ published by Parthian Books in 2012 and the ‘Pinsent Masons Water Yearbook’ published by Pinsent Masons since 1999 and writes a monthly column for Global Water Intelligence. Professional qualifications: Registered Corporate Finance Advisor (FSA), Chartered Geographer status (FRGS), Chartered Environmentalist status (MIEEM) and a Member of the Securities Institute. He has a first degree in Environmental Biology at Liverpool University and a Doctorate in Applied Ecology at Oxford University. David is also an Ambassador to Pump Aid a charity that develops and deploys locally operable water pumps in Africa and is the Worshipful Company of Water Conservators’ Bailiff. Dr David Lloyd Owen, Envisager Limited, Trewindsor Farm, Llangoedmor, Ceredigion, SA43 2LN, United Kingdom.